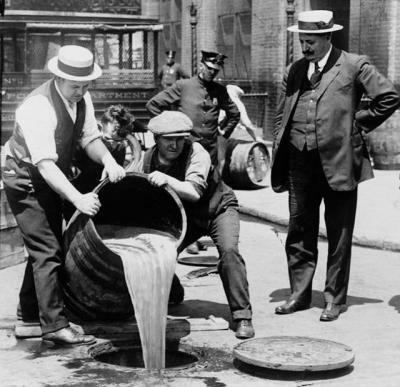 It’s National Beer Day! 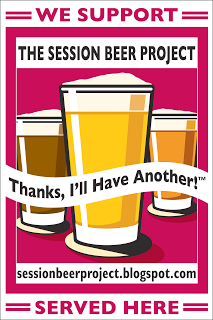 And Session Beer Day!! Plus: the Go Get Beer report [4.7-10], with a bottle release at Proclamation!!! • Proclamation Ale Company has another big bottle release on Friday, with big special hours: 5-9 pm [no tastings until 6 or so after the initial sales rush]. Proc fans will be lining up for Plasmatic: “Blonde Sour fermented in oak for 14 months and refermented with blood orange. Available in 375ml bottles, limit 2 per person per day. Small run. Only 35 cases available first release.” The rest of the lineup for growlers/tastings [Thursday 3:30-7 pm, Saturday 12-7, Sunday 12-5] : Process/Progress #3 [6.5% ABV IPA with Mosaic and a “sooooper secret hop” and fermented with a “soooooper secret yeast,” and rye in the malt base; but “don’t worry, it tastes like everything else we make”]. Plus: The Stalk [double IPA made with Citra, Mosaic, and Amarillo hops, 8.6%ABV]; Derivative: Mosaic [pale ale, 6%; they may have Derivative: Citra on “mid-weekend”]; and Burgess [“ESB brewed with English malts/hops/yeast,” 5%]. • An update from Matt and Kara at Tilted Barn: “As most of you know by now, we’ve been doing our best to keep up with demand but it’s been difficult at times lately. Our new, bigger brewhouse is ordered and being built as we speak but we’re still a few weeks out until it gets here and we’ll need a couple of weeks after that to get it online, scale up recipes, etc. In the meantime we’ve been trying to figure out a way to stay consistent and not have to do the last minute ‘Hey, we’re closed this week!’ post. So after much debate and many beers we’ve decided that we’re going to be open every other Saturday from now through the end of May. Sorry to our regulars that come every week but this way we’ll have some consistency to our schedule until we ramp up production. Starting some time in June, we’ll be back to our regular every Saturday hours plus we’ll be adding a couple of weekday afternoons/nights. Bear with us, we’re almost there. Promise. That being said, here is our upcoming schedule for tastings and growlers at the Barn: April 9, April 23, May 7, May 21, and June 4. As we get closer to the new system being online we’ll keep you guys updated. Thanks for understanding.” On Saturday from 1-4 pm, line up for Pour Sap Maple Brown, Farm Girl IPA, and Libby [blonde ale with Cashmere hops]. • At Long Live Beerworks [Wednesday-Friday 4-9 pm, Saturday 1-8]: Shop Truck DIPA [Armando calls it “grapefruit candy,” 9% ABV], Bricks and Mortar [oatmeal brown ale, 5.25%], Lil’ Sippy [dry-hopped session pale ale, 5%] and Black Cat [dry-hopped pale ale, 6.5%]. 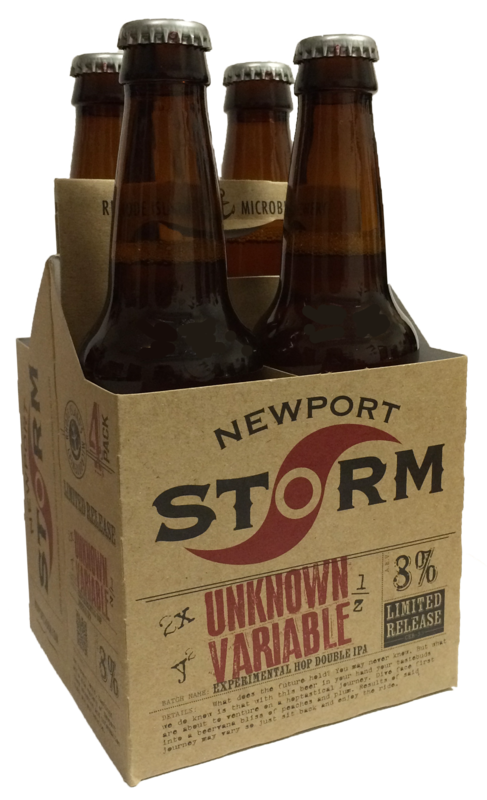 • At Newport Storm [Thursday-Saturday 12-6 pm, Sunday, Monday, and Wednesday, 12-5]: the seasonal Pilsner [which is available in the Twelve Sheets To the Wind Variety Pack], plus Hurricane Amber Ale, India Point Ale, Spring Irish Red Ale — and an Experimental Hop Test Batch [limited supply]. Thirsty? Hit the road, enjoy the early spring weather, and slake that thirst! • In the Revival tasting room at Brutopia, you can enjoy tastings of Sour Munk, Up Ships Kriek, Fanny, Rocky Point Red, Have No Mercy Porter, Juliett Imperial Stout, and Bourbon-Aged Barley Wine. On cask for Firkin Friday: an IPL made with green tea, orange, and dragon fruit, and a Dark Sour with cherries formally know as Matt the Radar TEQ. Sean Larkin tells us: “Disney had sent a cease and desist letter, so in the interest on not getting sued we will think about changing the name. Probably not.” Bombers [22-0z.] of Rocky Point, What Cheer, Fanny, Conga, Juliett, and Bourbon-Aged Barley Wine are also available to-go. And Brutopia has its 14 beers [available for growlers]. • Proclamation Ale Company has another big bottle release on Friday, with big special hours: 5-9 pm. Proc fans will be lining up for Polychrome: “Blended blonde/amber/dark sours fermented in red wine and whisky barrels. Moderate acidity, cherry, vanilla, fruit and oak notes. 8% ABV.” There are 650 375ml bottles available, with a limit of three-per-person-per-day. The rest of the lineup for growlers/tastings [Thursday 3:30-7 pm, Saturday 12-7, Sunday 12-5] : Process/Progress 2 [“Batch 2 of our ‘mess around’ IPA series. QUAD (yes, I said quad) dry hopped with a blend of Centennial/Equinox/Bitter Gold hops and about 30% oats in the grist. Giant, hoppy, grassy, citrus, berries, floral. 6.7% ABV”]; Burgess [“Straight up 5% ESB brewed with English malts/hops/yeast. Named after a mofo that looks like Jake Gyllenhaal and made Dave drink too much”; growlers only]; The Stalk [double IPA made with Citra, Mosaic, and Amarillo hops], Derivative: Galaxy [pale ale, 6%], and Broze [oatmeal milk stout; on nitro]. • At Bucket Brewery [Friday 1-7:30 pm, Saturday 11 am-5 pm]: the new Prudence & Patience Rosehip Gose, plus BOG Cranberry Orange Saison, Black Goat o’ the Woods [spiced milk stout], 33rd Inning Pawtucket Pail Ale, and Park Loop Porter. And Bucket is raising funds for Save The Bay: donate $1 [or more, hint-hint] and get a free pint. • At Grey Sail [Thursday + Friday 4-7 pm, Saturday + Sunday 1-5]: Black Mast American Stout, Flagship Cream Ale, Flying Jenny Extra Pale Ale, Leaning Chimney Smoked Porter, Mary Ann’s Ginger Spice Ale, Pour Judgement IPA, Great Ketch IPL, and Captain’s Daughter [imperial IPA]. • At Foolproof [Friday 5-7 pm, Saturday 1-5]: Queen of the Yahd, a new raspberry IPA [5.2% ABV; four-packs of 16-ounce cans are due soon], plus Shuckolate, Revery, Peanut Butter Raincloud, Backyahd, Barstool, La Ferme Urbaine, Raincloud, and King of the Yahd — and a special cask of Queen of the Yahd made with rooibos tea. • Tilted Barn is “closed this week for our expansion…no, not that one. Kara is due on Friday so we’ll be closed Saturday. Reopening next week.” Congrats to the Richardsons on their new addition! 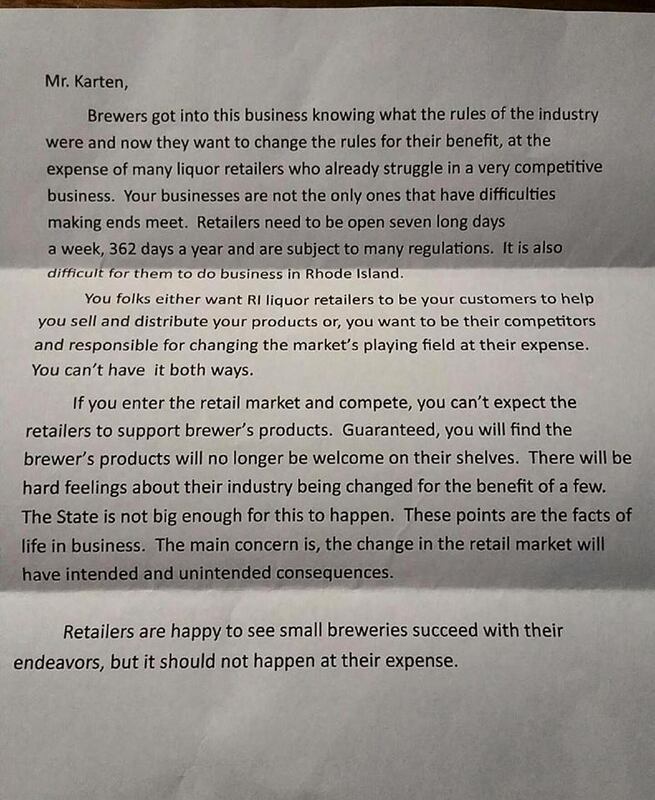 • Here’s more bundle o’ joy news: Dorian at Ravenous asks, “What do you do when your beautiful IPA-loving wife has to stop drinking for nine months while she carries your child? You make an IPA just for her.” Head to Woonsocket on Saturday from 1-4 pm for tastings and growlers of SARAH Session IPA, Blackstone Pale Ale, Chocolate Milk Stout, and Coffee Milk Stout. • At Newport Storm [Thursday-Saturday 12-6 pm, Sunday, Monday, and Wednesday, 12-5]: Hurricane Amber Ale, India Point Ale, Rhode Island Blueberry, and Spring Irish Red Ale. And yep, the Storm HQ will be open while the St. Patrick’s Day Parade is bringin’ the green through the City By the Sea. • At Long Live Beerworks [Wednesday-Friday 4-9 pm, Saturday 1-8]: ’Nuff Said IPA, Milk Milk Stout, and Lil’ Sippy [dry-hopped session ale]. Plus on Firkin Friday [3.11]: Ol’ Rusty [double IPA — 9% ABV — with grapefruit zest]. • Seek and find for theeself re: Crooked Current and Whaler’s. Go get beer [3.3-3.6], featuring two new brews at Proclamation; plus, the Malted Barley Providence’s opening date! 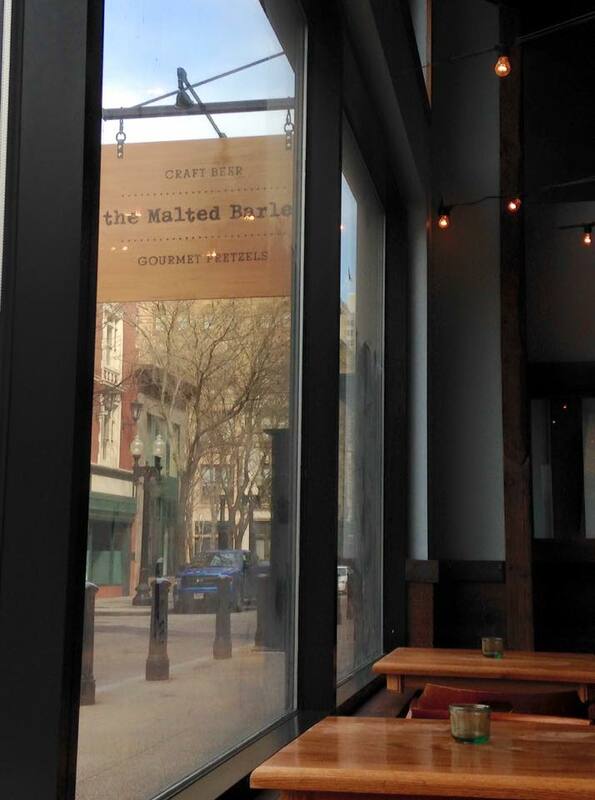 It’s been a loooong time coming since we broke the news on July 22, but everyone’s patience has finally been rewarded: The Malted Barley Providence [334 Westminster St] will celebrate its Grand Opening on Thursday, March 10. Congrats to Ron, Colin, Stephanie, and their hard-working [and patient] crews. Cheers! 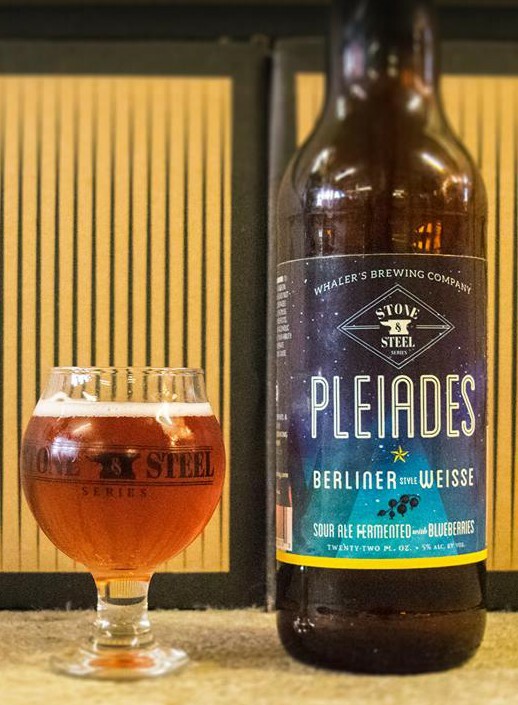 • Our weekly what’s-on-tap glass is half-full — half of our correspondents are on a brewers’ cruise this week — but here’s what we know [and we’ve provided the usual links to the sources’ sites so you can glean your own intel re: the high seas revelers]. • At Proclamation Ale Company [Thursday 3:30-7 pm, Friday 3:30-8, Saturday 12-7, Sunday 12-5] for tastings and growlers: Two beers will debut at the West Kingston HQ! New Beer #1: Process/Progress 2. Dave sez: “Batch 2 of our ‘mess around’ IPA series. QUAD (yes, I said quad) dry hopped with a blend of Centennial/Equinox/Bitter Gold hops and about 30% oats in the grist. Giant, hoppy, grassy, citrus, berries, floral. 6.7% abv.” New Beer #2: Burgess. Dave sez: “Straight up 5% ESB brewed with English malts/hops/yeast. Named after a mofo that looks like Jake Gyllenhaal and made Dave drink too much.” Also: The Stalk [double IPA made with Citra, Mosaic, and Amarillo hops], Derivative: Galaxy, Derivative: Mosaic — and Broze [oatmeal milk stout; on nitro for tastings only]. • At Bucket Brewery [Friday 1-7:30 pm, Saturday 11 am-5 pm]: the debut of Prudence & Patience Rosehip Gose, plus Black Goat o’ the Woods [spiced milk stout], 33rd Inning Red Rye Lager, Pawtucket Pail Ale, Park Loop Porter, and Fireside Harvest Ale [“last keg!”], [plus some tests and one-offs]. • At Long Live Beerworks [Wednesday-Friday 4-9 pm, Saturday 1-8]: ’Nuff Said IPA, Milk Milk Stout, and Heck Hound [smoky red ale]. Plus on Firkin Friday [3.4], Gato Pina [Black Cat made with pineapple]. • At Ravenous [Saturday 1-4 pm]: Dolly Cole [black IPA], Blackstone Pale Ale, Chocolate Milk Stout, and Coffee Milk Stout. • Seek and find for theeself re: Grey Sail, Tilted Barn, Crooked Current, Newport Storm, and Whaler’s.